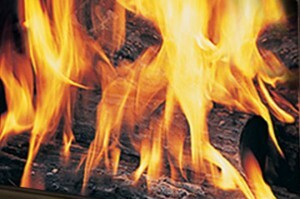 Solid fuel small space heaters, local space heating products. The EU The Ecodesign Directive for energy-related products and the EU Energy Labelling Directive provide minimum requirements and labeling classes for different energy-using products. Thereby, the directives indirectly define what products are to be seen as comparable. The preparatory studies for each product group (called “Lots”) provide excellent examples of the considerations on what to include in a study and what not. These preparatory studies are divided in tasks (1. Definition; 2. Economic and market analysis; 3. Consumer behavior and local infrastructure; 4. Technical analysis of existing products; 5. Base cases, and more) which together give a detailed picture of the product areas. The directives focus on products that have a large volume, environmental impact and potential for improvement, and thus does not necessarily try to cover all products within a product group. This example concerns wood-burning stoves and summarizes how these have been handled by the EU directives and discuss the documentation required to make a correct delimitation of the product alternatives. The EU The Ecodesign Directive for energy-related products and the EU Energy Labelling Directive has defined a product area (part of “Lot 15”) for “Solid fuel small space heaters”. The preparatory studies included bills-of-materials obtained from associations of users, importers and producers and from questionnaires to the largest producers. Thus, these studies are attempting a representative coverage of the entire markets. Base cases were defined for each typical appliance type, e.g. open fireplaces, closed fireplace (inserts), wood-burning stoves. For each base case, an LCA was performed. The base cases for “lot 15” was believed to be representative for 77% of the market. After initial critique that the product definition was too narrow, the product group was included in the wider product group “Local space heating products” (“Lot 20”) defined as “appliances that provide heat to indoor spaces by generating heat at the same location as it is needed”. Yet, in the end, electric heaters have been excluded from the energy-labelling proposal to avoid the direct comparison between gas and electric powered products, following interventions from the producers of electric powered products noting that their products would always receive the lowest, red labels due to the low efficiency of generation of electricity in power plants. This is an example of non-market arguments for exclusion that would not be appropriate for a comparative LCA. A distinction should be made between installations used primarily for heating purposes, and installations that are mainly providing decoration or ambience. As one producer puts it: “A stove will warm your heart and your home”. There is probably one or more niche groups of consumers that will not accept anything but a wood-burning stove for either application, due to access to cheap or free sources of fuel wood, sentimental attachments or the specific odour. But for many consumers many other installations would be regarded as alternatives and should thus be included in the comparison. If the main purpose of the stove is decoration or ambience, then some consumers will consider as an alternative a gas-fired fireplace (but not an electrical heater), or even a wall-mounted digital screen displaying a live fireplace. These, so-called flue-less products, are explicitly excluded from the ecodesign proposals, but are included in the energy-labelling proposals (informing about the efficiency as a heating device). If the main purpose of the stove is heating, then other sources of heat, such as electric or gas-fired could be acceptable alternatives, as originally suggested by the EU Ecodesign ErP proposals. But it is not obvious why the functional unit should be limited to “generating heat at the same location as it is needed”, since the place of generation does not affect the service supplied. If furthermore the functional unit would be defined not as heat, but rather a specific indoor temperature, then improved insulation could also be an alternative. The Ecodesign Directive and the Energy Labelling Directive thus in practice limits the eco-design to take place within narrowly confined “boxes” which is somehow at odds with the very idea of eco-design. In fairness it should be said that the delimitation for the ecodesign directive is a specific application context, where it may be difficult to demand a wider systems approach (e.g. including insulation as an option) because this is outside the reach of the appliance manufacturers. This also implies that the delimitations chosen for the directives are not necessarily the delimitations that would be appropriate in other decision contexts. The source for the information of this example is the European Council for an Energy Efficient Economy (ECEEE), which is a membership-based non-profit association dedicated to energy efficiency.